True self-care caters to the whole person, and the world is becoming more aware of the need to take care of ourselves. It is becoming more prevalent to take concern for our mental, physical, spiritual, emotional and our whole body health. 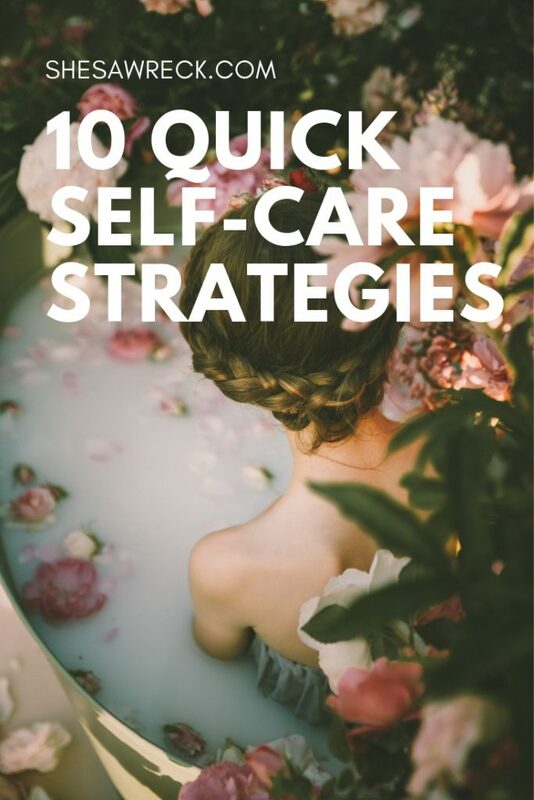 Self-care strategies seem to be talked about all around us lately, we are living in a society now where the acceptance of self-care is now spoken about on a much larger scale. Lately, I’ve been finding that it’s spoken about on such a scale that you can lose its true meaning and then forget about it all together. You know that self-care is important and that you should be doing your best to incorporate it into your life. But where I see people get lost in finding the time or lacking the knowledge of what to do. As a mom, it’s easy to get lost in the dishes and laundry and not give yourself the much needed time. 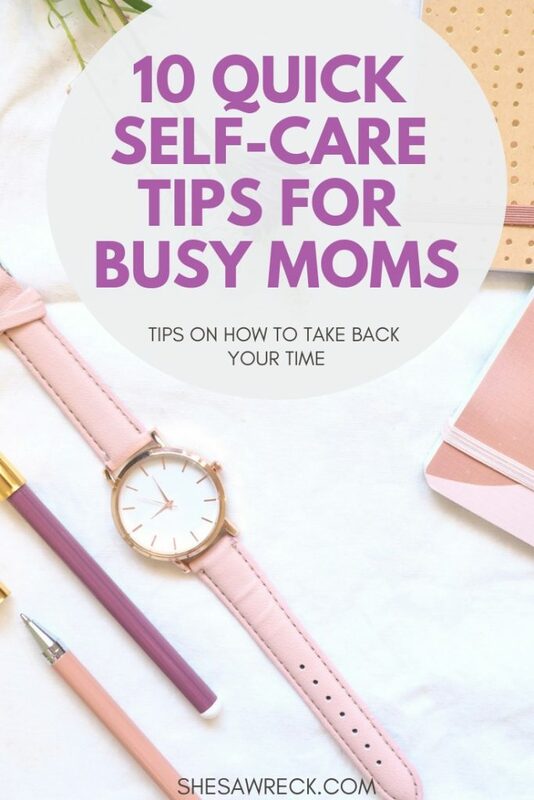 Busy moms need self-care and there are lots of ways to take a short amount of time and use it solely for yourself. 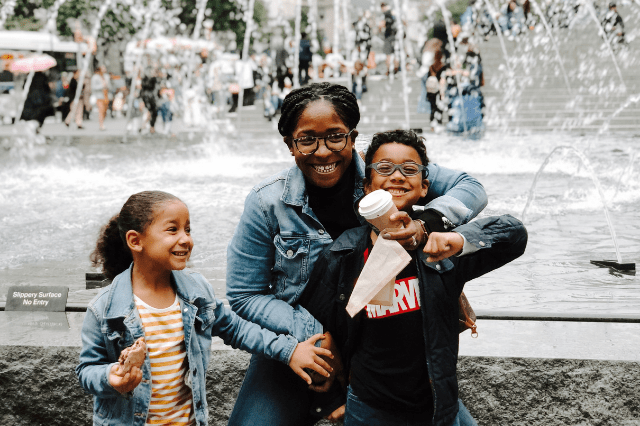 The reality of our society is that there isn’t enough time in the day to be able to achieve all the things we want so we much practice time management in a way that allows us to fit in what is necessary. Using a morning routine that’s catered to your lifestyle is a great way to find time in your day to bake in self-care. 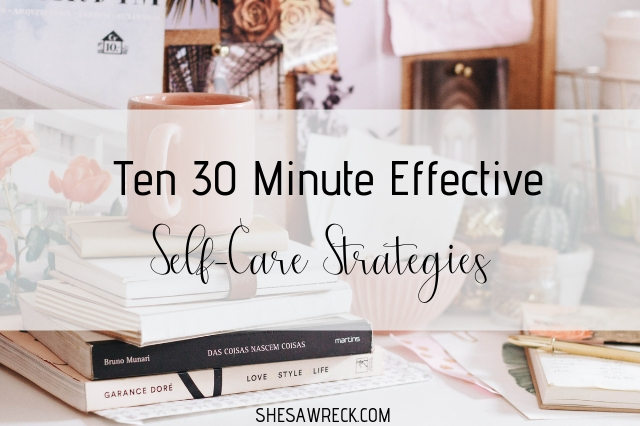 There are real strategies that you can utilize every day for 30 minutes that will be a great set of tools for your self-care toolkit. 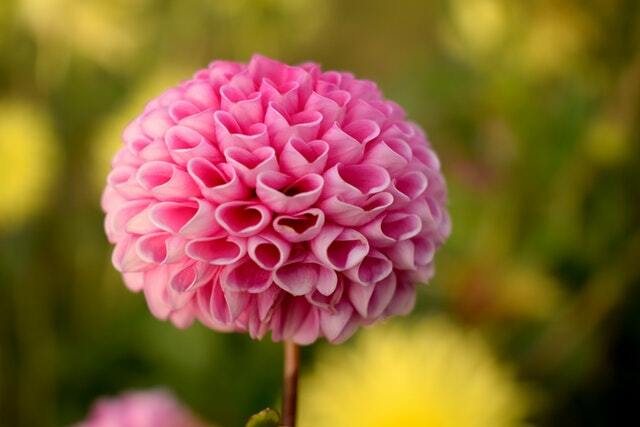 Affirmations are sentences aimed to affect the conscious and the subconscious mind. Repeating affirmations daily to yourself is a great way to open up the mind and thoughts on self-awareness. 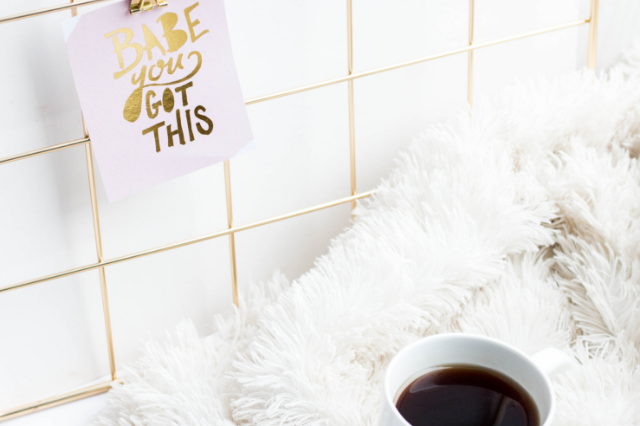 Affirmations are a key and quick essential strategy for self-care as it helps you to have a positive mindset. I find that when I write them down and repeat them in my journal I am pouring into my mental and emotional well-being and that’s important to me. Reading for me has always been a tool of escape. I love being transported into a book, it totally distracts you from the world around you. 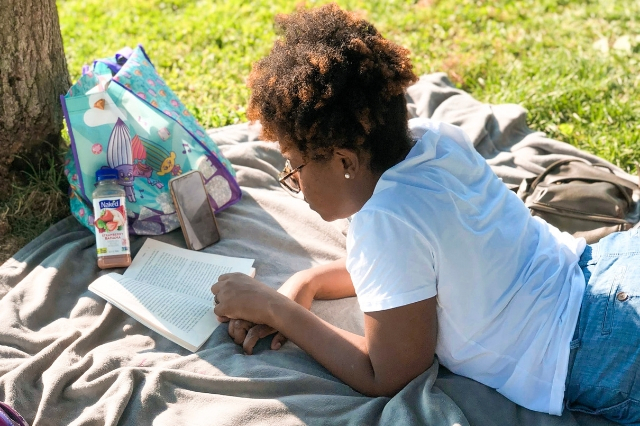 Reading for self-care is a fast way to do something just for you, so pick a book of any kind and use it as your means of pouring into yourself. Right now in my virtual book club, we are voting on our next monthly book. 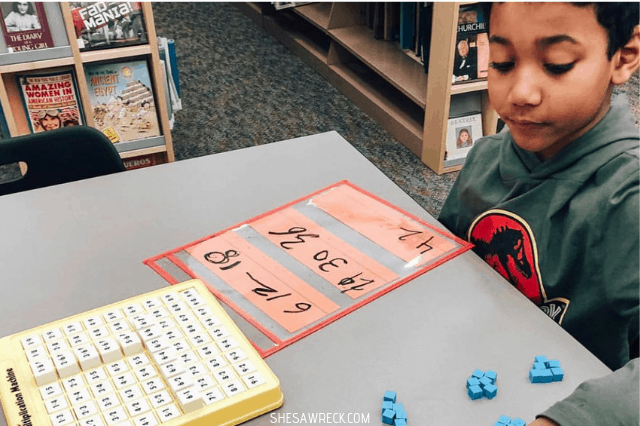 It’s a safe online space where we discuss and share our thoughts on the current read. Adult Coloring is a great way to release some stress from the day. Who said coloring was just for kids? Get yourself some nice color pencils and coloring your new favorite books. Meditation is a great way to get more in touch with your mindset. You can incorporate this by choosing a time of day dedicated to it. When you practice meditation you practice the skill of mindfulness that is a key component in understanding where you are in your mental and emotional health. I’ve been using this book as a tool when practicing being more in the present which has always been a struggle for me. I am using the app Headspace to help guide me in my meditation practices but I hope to soon be able to do it alone. Go for a run! Running for me has been a key component in healing depression, so I always advocate for running. If you are able to walk and run it is a great fitness exercise to release the bodies natural happy hormones which are mood boosters. 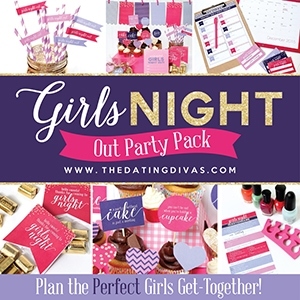 Feeling stressed and need some time alone? Running for even 10 minutes a day is an effective way to get some quick me time in. If you’re new to running, I recently wrote on 7 Tips for Getting Started as a Runner. Journaling can be a great way to write down you days challenges and triumphs. This a strategy that you can use every single day if you have no time for anything else. I suggest when you do write down your thoughts of the day that you save space for writing down the positive things as well as whatever is on your mind. Spending some time focusing on the positives can be the catalyst for corrective mindest reset and recharge. Instead of texting your girlfriend and hashing out your day, pick up the phone and give her a call. I always find if I have a quick chat with a friend that I feel better after. Use your friends for support in the areas you need them, because if your friends can’t be supportive – why are they your friends? For me baking is my way to de-stress, cooking is my time to be alone with my thoughts and be creative. I love to try new recipes that I find online and baking for sure is the perfect way for me to unwind after a long day. Even if I am baking a simple batch of chocolate chip cookies the mess of baking calms me down. 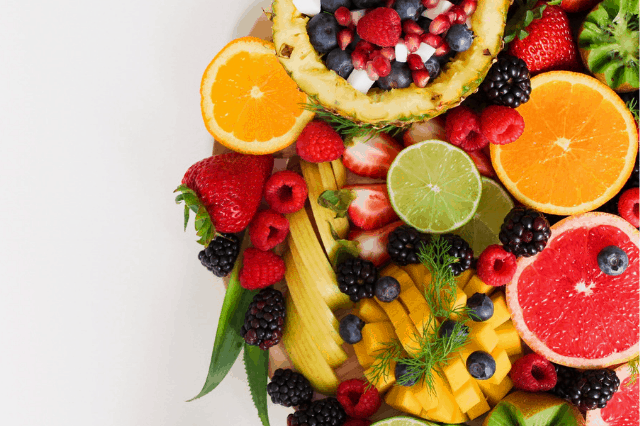 Find some simple and quick recipes and use this as one of your self-care strategies. 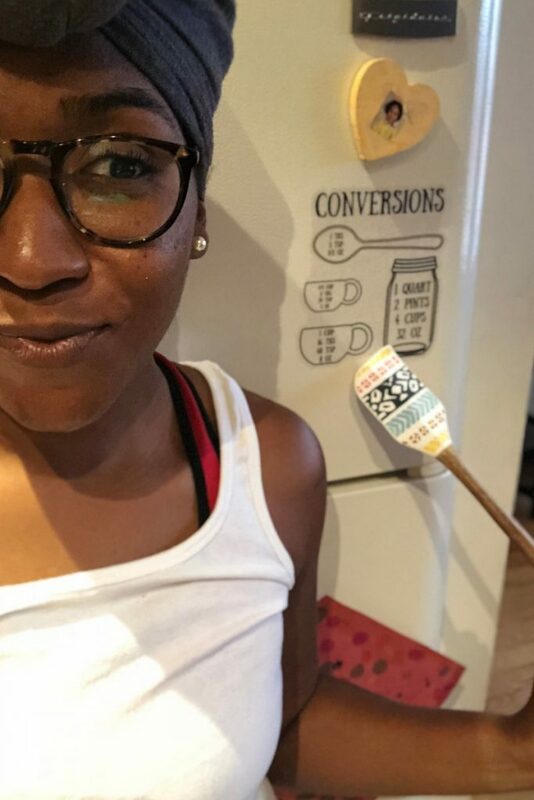 This conversion decal was sent to be by Do MoreBoutiquee and it’s really useful in the kitchen for making on the spot conversions. Get yours with an additional 20% off. 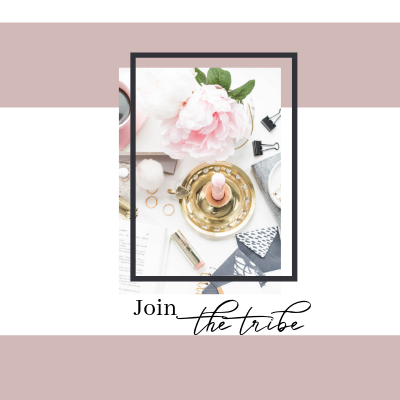 If you don’t already have a skincare routine, it is important to try and find or create one that will work for you. You should be washing your face in the morning and at night. And doing such a daily task can easily feel mundane and like a chore but switch it up by adding some music to it. Make your routine fun and it can be a time that you just connect with yourself and let go of the day. Music is great for self-care because you may think you’re just listening to music but there’s so much more. The importance of music and self-care gives us two good reasons for why we all need a little more rhythm in our lives. If you are feeling like you need a boost, turn off the world around you, take a 30-minute break in your day and sing your heart out. 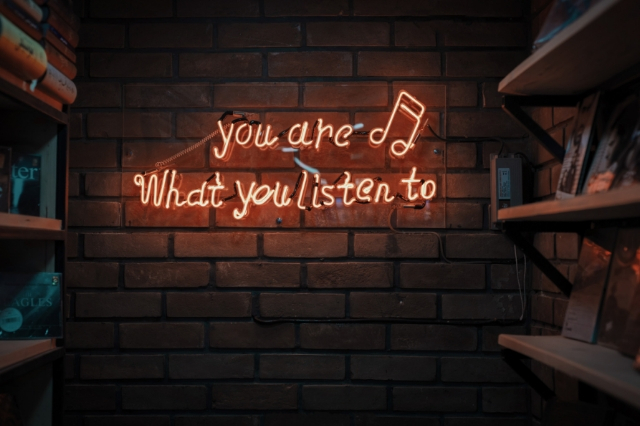 Using music as a strategy for your 30 minutes of self-care leaves you room to have a personal dance party, jam out in your car at home or just sit back on your couch with some smooth tunes. 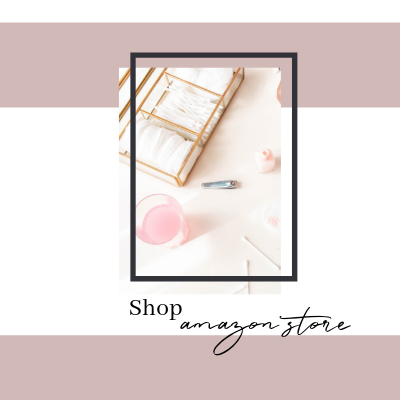 What are your self-care strategies? How are you managing to find the time for yourself each day? 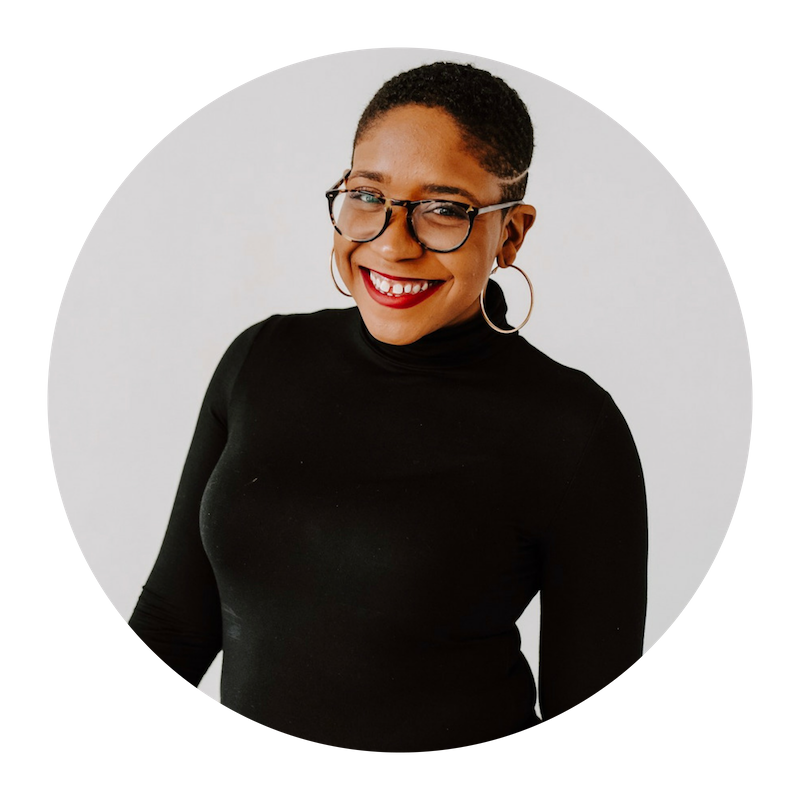 Utilizing these strategies is a great way to start building a list for yourself and your self-care toolkit. 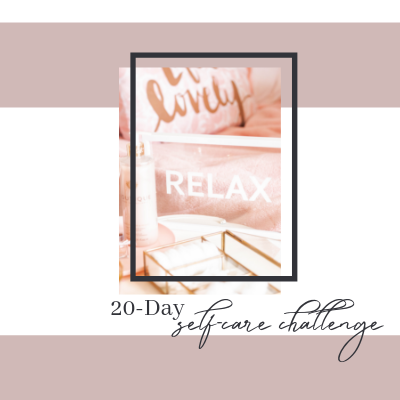 Self-care is more than just what’s listed here, take on the 20 Day Self-Care Challenge free and learn skills that are necessary to your own personal growth. 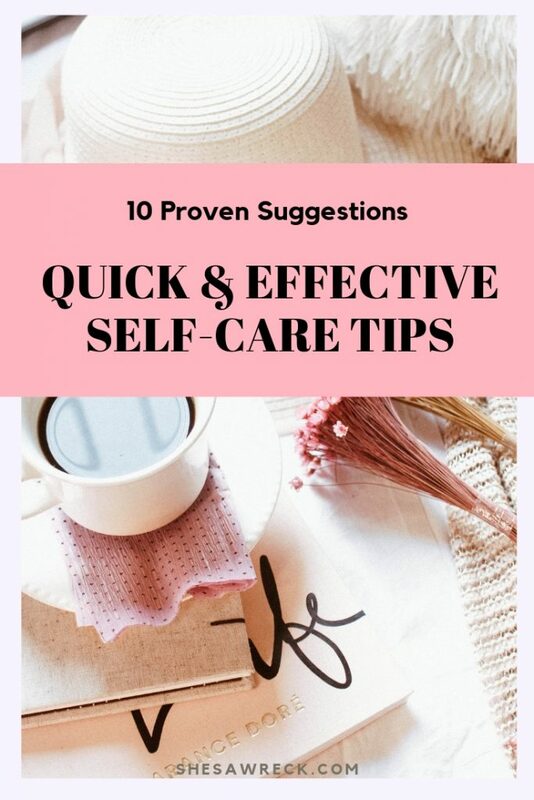 These are some great tips on practicing self-care! I’ve been writing down affirmations on sticky notes and putting them up on my wall. Whenever I get up or feel myself going downhill with my emotions, I always read them constantly. I also agree that doing my skincare routine every night makes me feel good! I’ll try adding music to it! I need to get better at my skincare routine for sure I think it’ll help me in many areas. I have done all of these and can personally attest to how they help my mental health! Thanks for helping others feel more grounded as well! This was a much needed and great read! Thank you!